Your response is to tighten the grip on your glass until it breaks and then consider doing violent things with the shards. You’ve tried your best at everything and know it’s not this easy. At first glance, Louise P has a similar, laid-back outlook. She joined BOMB a year ago, losing 11lbs within her first month. She comes to BOMB 4 days per week and has ran through the gamut of group fitness – from the regular classes, to The Beast, to The Spartan Race Team to Kettlebells – and has one eye on Barbell Club. However, there are two important things Louise did that maybe you’ve not considered about your own transformation plans. Louise said that she hated the thought of group fitness before joining. In fact, her plan was just to get moving for a bit and then stop – she wasn’t even going to follow the meal plan we gave her. But then she got curious. She tried a bunch of different classes at Beach then Danforth. She wondered if she could build up to ten push-ups. She wondered why she couldn’t even pull herself up onto the monkey bars while her kid could traverse it with ease. With a 4-and-6 year old, Louise found it hard to keep up. While sitting at home she would always send her kid upstairs to fetch things for her, even if the remote control fell off the couch. She had also tried the Goodlife environment and that didn’t work out either. By joining BOMB she quickly found out that she was surrounded by a different bunch of people. “I’m a trained actress and so I know physical space and awareness. Even so, the coaches were super generous with corrections and you felt like they were focused on you – paying attention and constantly checking in with everyone. By her own admission, Louise still calls herself a lazy person. But by changing her environment and being around a new tribe that were also trying to stay fit, she drew on the energy that environment change gave her. Louise is now down 25lbs in a year. She can do 18 full push-ups – 8 more than the 10 she imagined and she can crush the monkey bars at her kid’s school. Her husband got curious too. He bought a rowing machine and is now down 75lbs himself. “I don’t want to go back to where I was and that’s what gets me up at 5:40am to come to class. Not coming is not an option. I look for opportunities to move instead of avoiding them. Needing to get something from upstairs is an opportunity to run up the stairs. Dropping something on the floor is an opportunity to do a squat. If there’s one thing we know for a fact, it’s that working out is much more enjoyable with a buddy (or 12). I can’t be sure, but it may have something to do with the whole “misery loves company” principle. Valerie and Krista are a shining example of the magic of finding the perfect accountability partner. This mother-daughter duo have been keeping each other motivated since last April and they have no plans to quit. Krista has been an on again, off again exerciser for most of her life. She was even a committed Bomb member for a while, but inevitably, life would cut in and exercise would fall to the bottom of the priority list. Valerie played competitive tennis as a teenager and has kept active by walking every day, but didn’t think that group fitness was going to be the right fit for her. With a big push from Krista, she decided to give it a go. Seven months later, despite obstacles like late-night conference calls with colleagues around the world, a new, more demanding job, a kid who’s allergic to sleep and the constant parade of viruses that infect their family, Krista and Valerie have been committed to their early morning classes. And it shows! They are both stronger and more capable in class and in life. Krista even said that burpees don’t make her feel like she’s dying anymore! The commitment really stems from their love for each other. When one considers skipping a class, she quickly realizes that she doesn’t want to let the other down. It’s one thing to text your neighbour and tell her you’re taking the day off. But when its your mom or daughter on the other end of the phone, it becomes much harder to come up with a worthy excuse. Now, I realize not everyone has a close relative they can join the gym with. The perfect accountability partner doesn’t need to share your DNA, but it does help to find someone in your life who you care a lot about. Someone who you want to see succeed and would hate to disappoint. Because often times it’s easier to do things for others than for ourselves. And who knows, maybe along the way you’ll realize that all that do-gooding for someone else did some good for you too. Shane has come SO far since he first joined Bomb! Having him in every morning class down at the Beach is really awesome -- he humbly motivates others, and is always a welcoming smile and energy for new members to feed off. 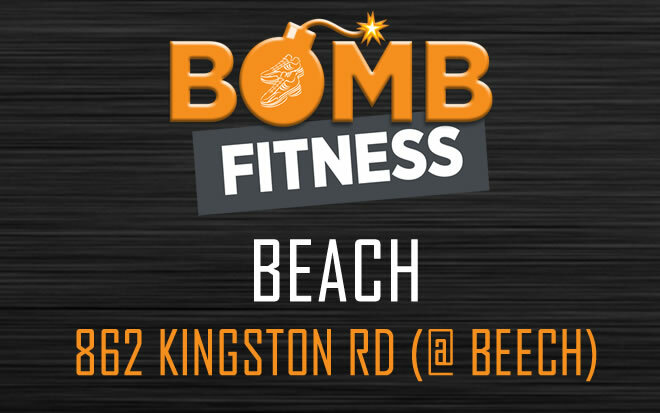 "I have been with Bomb since it opened in the Beach - a regular on weekdays. I love the daily variety of exercises and programs offered. Living with a thyroid condition, workouts were never an easy task for me. Prior to doing regular exercise and having a balanced diet as part of my lifestyle, it took me years to regulate my thyroid hormones. Nowadays, I enjoy my newfound energy and excellent health from this exercise routine; and losing weight is just an added bonus. I have lost 30 lbs since my first day at Bomb and feel better now than I've ever felt before." Keep it up, Shane! You are a great inspiration to the Bomb family. Kathy joined Bomb about two years ago. At the time, she had been suffering from back pain for about five years and had just received a diagnosis of early osteoarthritis. Her discomfort was very persistent and the reality that it was worsening and beginning to prevent her from doing much more than getting through a day of work and parenting was frightening. It had her wondering about her future. Would she ever be able to take dance classes again? Would she be able to carry her grandchildren? How long before she’d lose her independence? With these kinds of terrible thoughts in her head, Kathy decided to take action. She instinctively knew that she needed to strengthen her muscles so they could carry the load that her joints were failing under. And so, she hesitantly joined Bomb. Kathy and I knew each other before she joined and I remember the first time I saw her at the gym. She told me that she had never been interested in fitness and didn’t think she’d like it much, but she kept coming anyway. And in a classic case of fake it till you make it, Kathy started to find herself (gasp!) enjoying her workouts. And even better, her back pain started to melt away! I think it was about a year after she joined that I realized how strong Kathy had become. It was another few months before I realized I should share that feeling with her and her reaction was a combination of pride and surprise. I don’t think she really recognized how far she’d come. She said she hadn’t even really realized that she had achieved muscle definition until someone else pointed it out to her. When we chatted for this interview, she told me that she never thought she was someone who could be a strong person and that it took her a good long while to realize that she had become one. 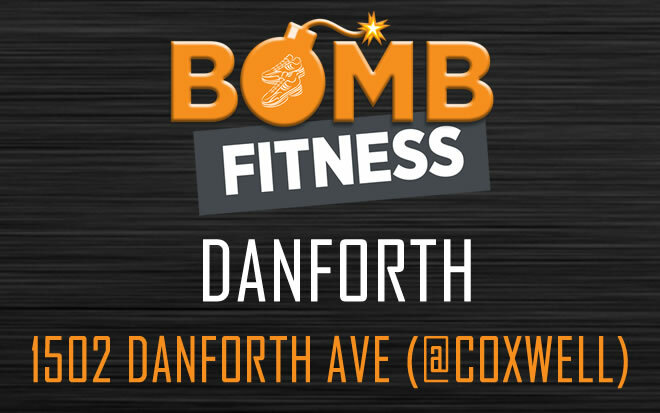 Before joining Bomb, she would see other fit women and immediately brush aside any idea that she could be fit too. It’s something we really connected on because for most of my life, I felt the same way. And, not to make this about me, but the feeling you get when you stop relying on others to lift heavy things is pretty incredible. And it’s not really about what you can lift in the gym. It’s about self-sufficiency. It’s carrying all your groceries in at once. It’s shoveling the snow yourself instead of relying on your partner. It’s volunteering to help your neighbour move their couch. And it’s about moving through your day with the confidence that you can handle whatever physical task is going to come your way. So, how did Kathy do it? The recipe isn’t too complicated. She adopted a simple philosophy of “sign up & show up”. Signing up is the easy part, especially because in Bomb, she found the right fit for her. Showing up is a little harder, but when she’s feeling tired, she reminds herself that she’ll only regret NOT going. And it turns out, that when she shows up, she’s intent on learning and improving. By that, I mean she’s never worried about what others in the class are up to. She focuses on her form. She pays attention to corrections, asking questions if she’s not sure she gets something. And she works to the best of her ability, every class. And the results are undeniable. Kathy is officially a powerhouse who’s always up for another fitness challenge. Most recently, she started taking Kevin’s Beast class and is loving how it feels to lift a barbell. What I love most about Kathy’s story is seeing her progress from thinking she couldn’t be fit to wondering what else she is capable of. Being fit is not just for other people. It’s for anyone willing to sign up and show up with an open mind and good intentions.